DULLES, Va., May 24 /PRNewswire/ -- Orbital Sciences Corporation (NYSE: ORB) announced today that the National Aeronautics and Space Administration (NASA) has selected the company for two contracts, totaling approximately $53 million in value, as part of the space agency's Space Launch Initiative (SLI) program. First, NASA awarded Orbital a $47 million contract for the Demonstration of Autonomous Rendezvous Technology (DART) program. Under the contract, Orbital will design, build, test and launch a space maneuvering vehicle derived from the company's Pegasus rocket that will flight demonstrate in-orbit autonomous rendezvous and close proximity operations as part of NASA's 2nd Generation Reusable Launch Vehicle (RLV) Risk Reduction Initiative. Second, Orbital was awarded a $6 million contract to continue to study and develop the "Space Taxi" Crew Transfer Vehicle (CTV) concept that the company proposed in 2000 under NASA's Space Transportation Architecture Study (STAS) program. "With these major contract awards under the Space Launch Initiative, NASA has clearly demonstrated its continued confidence in the innovative and cost- effective solutions to the country's space technology needs that Orbital has been producing for almost two decades," said Mr. David W. Thompson, Orbital's Chairman and Chief Executive Officer. Orbital's Launch Systems Group, together with its industry partner the Charles Stark Draper Laboratory, will design, develop, manufacture and flight test the DART vehicle. 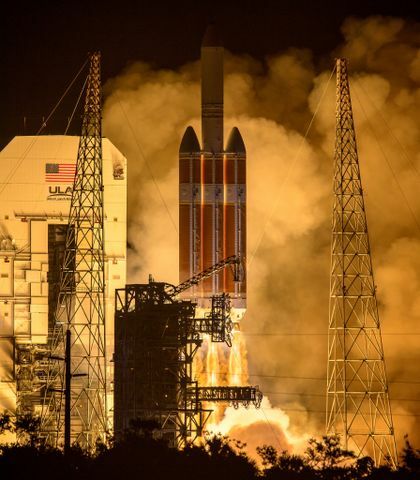 The program is designed to advance the readiness of critical hardware and software elements necessary for automated in-orbit rendezvous and capture technology previously developed by the NASA Marshall Space Flight Center (MSFC). Orbital will also build an advanced video guidance sensor based on an earlier MSFC-developed model that was successfully flight tested on two Space Shuttle flights, STS-87 and STS-95. The demonstration flight is also designed to validate ground test results from MSFC's Flight Robotics Facility. The DART flight demonstration is scheduled to be flown aboard Orbital's Pegasus air-launched rocket in 2004. The DART vehicle will conduct a series of rendezvous maneuvers with an orbiting satellite to demonstrate autonomous proximity operations using a modified Pegasus upper stage and avionics system. The Pegasus launch service for DART will be managed by the NASA Kennedy Space Center Expendable Launch Vehicle Program. "The DART program continues the company's tradition that began in the early 1980's of providing creative, affordable and quick turnaround space launch technologies that help lower the cost of access to space for government and commercial customers alike," said Mr. Ronald J. Grabe, Orbital's Executive Vice President and General Manager of its Launch Systems Group. 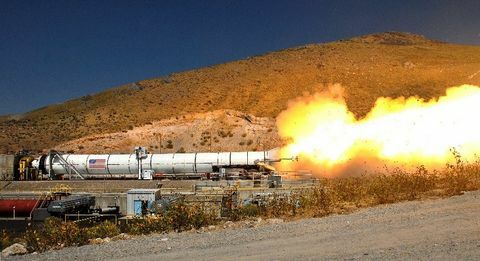 "The DART vehicle will be another derivative application from the flight proven and reliable Pegasus vehicle that has now been integral to the development of the company's ground-launched Taurus and Minotaur space launch vehicles, as well as the air-launched Hyper-X/X-43 and X-34 hypersonic vehicles," Mr. Grabe remarked. The $6 million, 19-month "Space Taxi" CTV Architecture Study will build on Orbital's recently completed $5 million STAS effort, which was commissioned by NASA headquarters and completed in 2000. 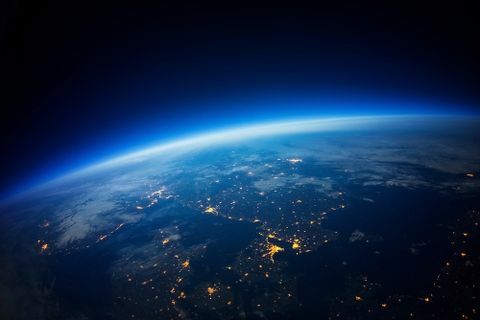 Under the new 2nd Generation RLV Systems Engineering and Architecture Definition contract, Orbital's Advanced Programs Group will perform an analysis of requirements for a next-generation space transportation system and will further develop the design of the "Space Taxi" concept. The "Space Taxi" CTV system is being designed to perform a variety of future NASA missions with significant improvements in cost and safety over the current Space Shuttle. The multifunctional Space Taxi vehicle would serve as an emergency Crew Return Vehicle (CRV) for the International Space Station, a two-way human space transportation system, a small cargo delivery and return vehicle, and a platform for performing satellite servicing or in-orbit construction. "Orbital is very pleased to be selected by NASA as a key partner in designing and developing future human space flight systems dedicated to making unprecedented improvements in safety and the cost of space transportation for NASA and our nation," said Dr. Antonio L. Elias, Orbital's Senior Vice President and General Manager of its Advanced Programs Group.